Mystery Case Files: Madame Fate is an adventure-puzzle casual game developed by Big Fish Studios, and distributed by Big Fish Games. It is the fourth installment in the Mystery Case Files series. The game is available exclusively at Big Fish Games website. The Mystery Case Files franchise is the number one brand in casual games and has sold more than 2.5 million units to date. 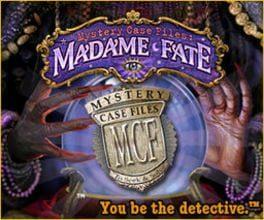 Mystery Case Files: Madame Fate is available from 9.99 to 9.99 from 1 shops.